Download latest ASUS Q326FA-BI7T13 drivers for Windows 10 64 bit to get your laptop work properly. 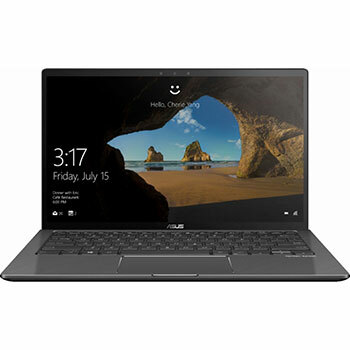 ASUS Q326FA-BI7T13 is 13.3-inches touch-screen laptop powered by 8th Generation 1.8 GHz Intel Core i7-8565U quad-core mobile with processor integrated Intel UHD Graphics 620 video card. This ASUS Q326FA notebook comes with 16 GB LPDDR3 2133MHz SDRAM memory and 256GB SATA 3.0 SSD for storing your files, musics, videos, and documents. This convertible 2-in-1 laptop features illuminated chiclet keyboard, IR webcam, 802.11ac (2x2) Wireless LAN, Bluetooth 5.0, Type-C USB 3.0, Harman Kardon stereo speakers, and 3 -Cell 50 Wh Polymer Battery.